REDMOND, OR -- Construction is set to begin soon on the first asphalt bike pump track park in the state. It's being developed at Redmond's Homestead Park, where a dirt pump track is well used by the community. The Redmond Parks Foundation launched a grassroots funding campaign, this week, to solicit tax deductible donations to help with the cost. Redmond Parks Division Manager Annie McVay says a community meeting with those who wanted the track helped solidify a design, "When you see a bunch of organized youth come in a very proactive manner explaining that they truly have nowhere to ride, it's a very compelling case." McVay says the park's base funding is in place, but they're reaching out to the community for help to provide a few extras, "We're in the final stages, and right now, there's a couple features we would like to add to the park, but could use a little bit more funding to help with that." She tells KBND News, "Our plan is to start construction in June. And, if we get the additional funds that we're looking for, then there's a couple extra features that we'll be able to add. But, if not, the bike park will still go ahead, it just won't have as many features as we would like to have." 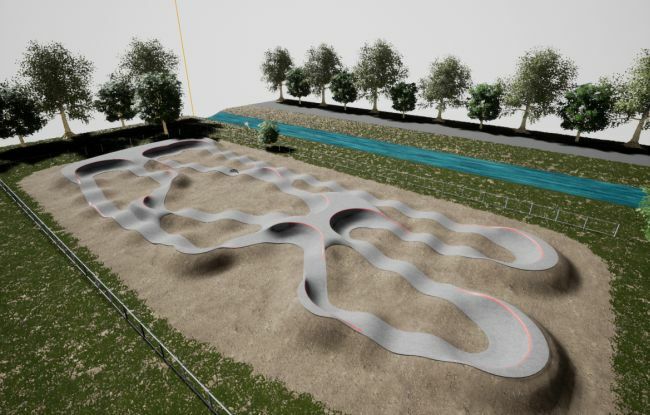 Visit RedmondBikePumpTrack.com to learn more about the project and to donate. The Homestead Pump Track project originated with a group of riders who made a case to the Redmond City Council that they needed a dedicated place to ride.